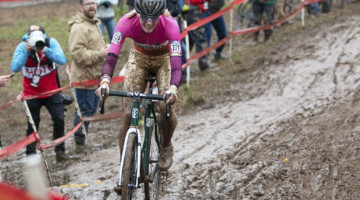 Monster cross bikes are becoming more popular as riders seek bigger and badder adventures. 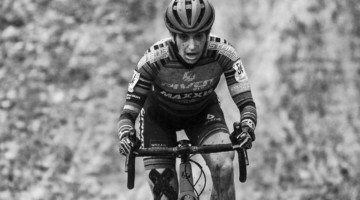 The term “monster cross” is believed to originate from the turn of the millennium, but the late 1980s and early 1990s saw several monster cross forefathers hit the market as innovators sought to bring 700c wheels to off-road bikes. 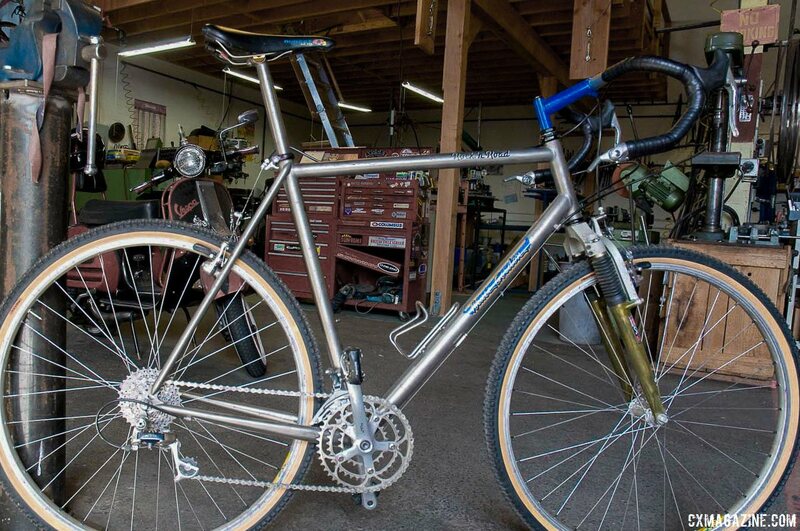 Steve O’Bryan of Pullins Cyclery in Chico, CA has a keen eye for vintage mountain bikes, and he recently posted a photo of one such bike that caught our attention. 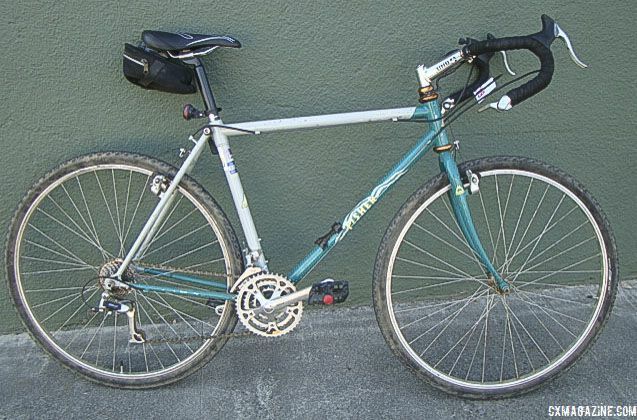 The Gary Fisher Sphinx was an early 700c off-road-friendly “hybrid” design that still gets some use as a vintage monster cross set-up today. In today’s Throwback Thursday we look at this early period of monster cross design and take a closer look at the vintage Gary Fisher Sphinx. 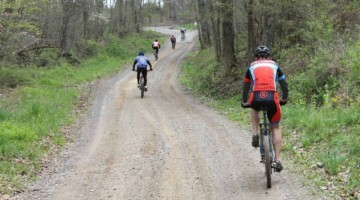 “Monster cross” bikes are growing in popularity as gravel events flourish and riders seek out bigger and bolder adventures. 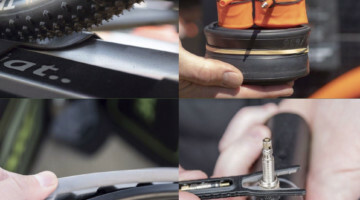 The history of off-road 700c tires began with a number of innovators experimenting with bigger and wider tires, so it is no surprise custom frame builders are among today’s leaders—as we saw at Paul Camp earlier this summer—in producing unique monster cross cyclocross/mountain bike mash-ups. 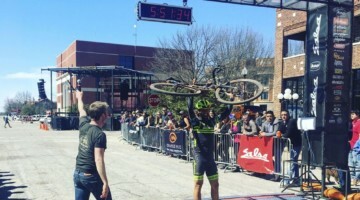 The number of unique monster cross bikes available to riders today seems to be growing by the week. Cyclocross Magazine has recently looked at the Caletti Titanium Monster Cross, Wilier Jaroon Plus, Bombtrack Hook EXT, Falconer Cycles Drop Bar Mountain Bike, McGovern Cycles Carbon Monster Cross and the Sklar Bikes Steel Monster Cross, all of which are unique custom-built monster cross options for today’s off-road trailblazers. 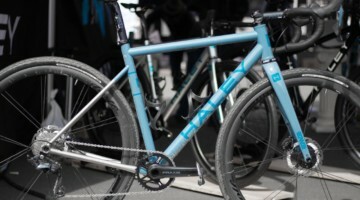 The term “monster cross” was coined around the turn of the millennium, but the monster cross ethos of putting drop bars and fat tires on existing frames was born during an important period in bike design in the late 1980s and early 1990s when bike builders were experimenting with bringing 700c tires to off-road riding. Today’s Throwback Thursday highlights the Gary Fisher Sphinx, which is one of the bikes that played a monster role in that innovative time period, but first we share some of the history of how this early monster cross bike came to be. The monster cross movement flourishing today arguably began in the late 1980s when bike builders were experimenting with putting wider knobby tires on bigger 700c wheels. 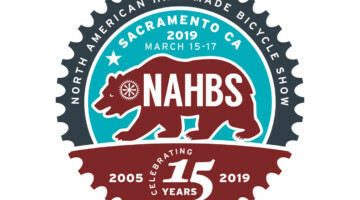 At the time, mountain bikes were universally built with 26-inch wheels, so the wider and bigger was still experimental, and in fact, it would take years for the 29-inch mountain bike tire to catch on with consumers. Several influential names pop up in this history of the 29er written by Guitar Ted. One who has stuck with monster cross since the early 1990s is Bruce Gordon of Petaluma, CA. Gordon and colleague Gary Helfrich found their big wheel inspiration from the snowy climes of Scandinavia. 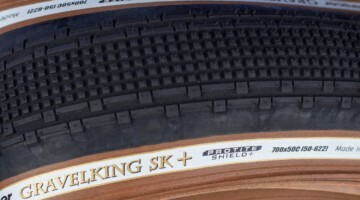 Helfrich came across a 700x45c winter tire manufactured by the Finnish company Nokian called the Hakkapeliitta, and the duo spent the next several years working on bikes to house the bigger, fatter tire. Gordon’s efforts led to the Rock ‘n Road, which one could argue shares a lot of similarities with modern monster cross bikes. Gordon also created his own 700x43c Rock ‘n Road tires inspired by the Hakkapeliitta, and both the tires and the Rock ‘n Road bike, reviewed in Issue 17, are still available from Bruce Gordon Cycles today. 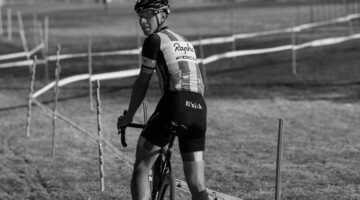 Gary Fisher Sphinx—Early Monster Cross? Not surprisingly, Gary Fisher was also experimenting with 700c wheels and fatter knobby tires during this time period as well. 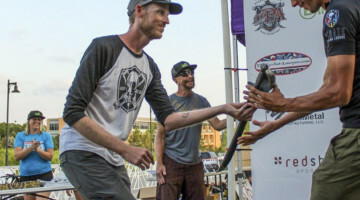 From 1990 to 1993 he produced the Gary Fisher Sphinx, which had a geometry similar to Fisher’s 26-inch mountain bike frames of that time and massive front and rear clearance for wide tires. The first two models of the Sphinx were designed to fit 700x38c and 700x40x tires, respectively. However, in this Sphinx profile, owner Gernot Huber claims he can fit 50c (1.97”) tires in the rear and possibly up to 60c (2.36”) tires in the front, thus contributing to its appeal as a vintage monster cross set-up. 1990 Gary FIsher Sphinx. photo via flickr user Gernot Huber. Still, during its four-year lifespan, the Sphinx showed some uncertainty about what it wanted to be. The 1990 model was probably the closest to a monster cross rig, with dirt drop bars and 700x38c Panaracer 38 Special tires. 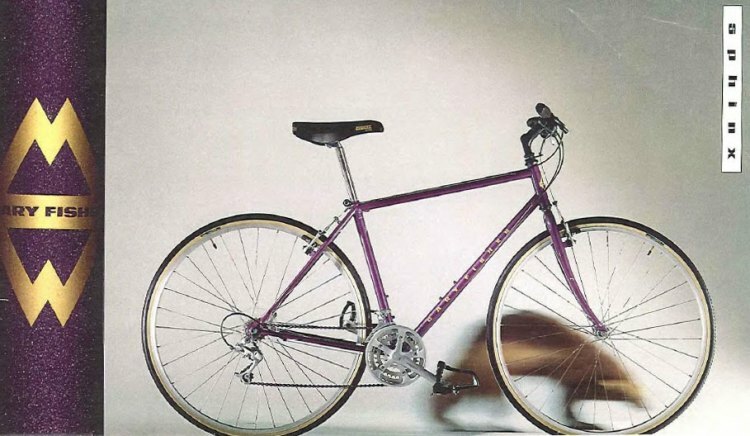 Subsequent models would switch to flat bars, as seen in the 1992 catalog photo below. 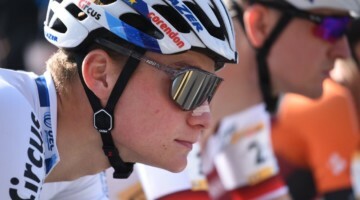 The anachronistic “Fisher Evolution” system that included a 1 1/4″ headset, 88mm bottom bracket and 28.6mm seat post was used on the Sphinx from 1990 through 1992. 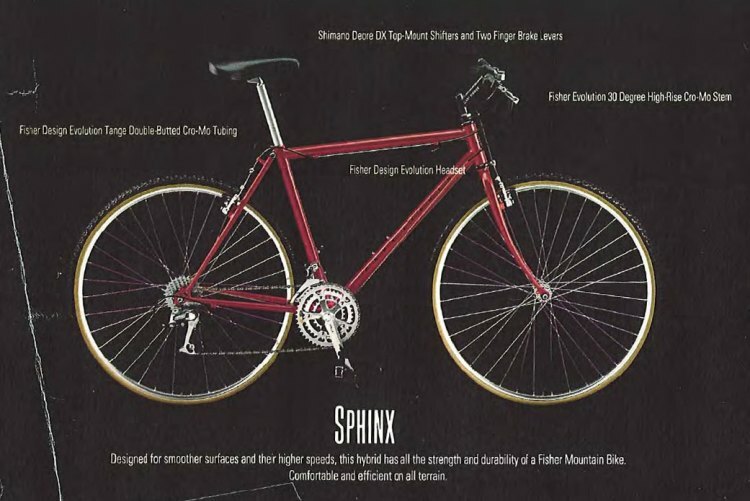 The 1993 model of the Sphinx did not include the Fisher Evolution system and returned to a 1-inch headset and 68mm bottom bracket. 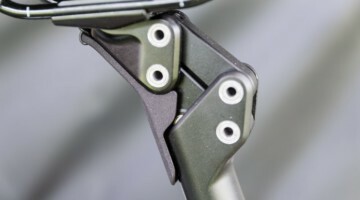 Accompanying this change appears to be a move toward what we would consider today’s “hybrid” model, with a higher stem, narrower 700x35c tires and a less aggressive appearance. 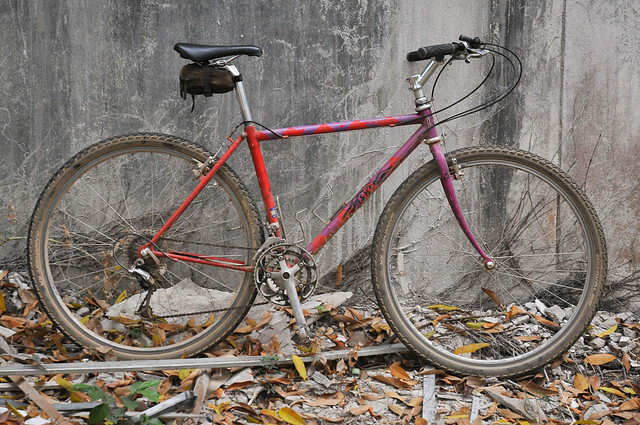 The Sphinx was among several 700c bikes that were on the market in the early 1990s. 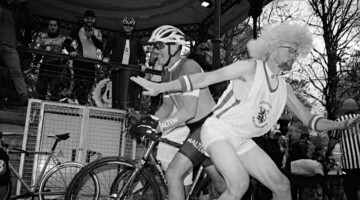 Others include the Bianchi Project 3, 5 and 7—the first of which was introduced a year after the Sphinx in 1991—bikes by Diamondback and Specialized and Bruce Gordon’s Rock ‘n Road. Steve O’Bryan of Pullins Cyclery in Chico, CA is a vintage bike expert who recently passed along some photos of a unique vintage Gary Fisher Sphinx that made an appearance at his shop. 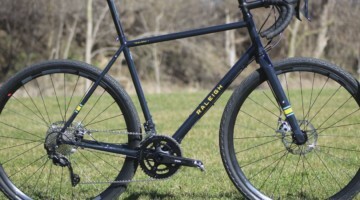 Pullins Cyclery was started in 1918 and is one of the oldest bike shops in the U.S. The photo gallery below features photos of the Sphinx taken by O’Bryan. 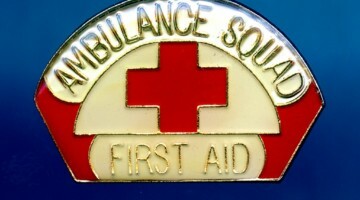 The bike shown does not have the red and purple paint scheme of the 1990 model, nor does it match the paint schemes of the 1992 or 1993 models. This perhaps leads to the conclusion it is either from 1991 or repainted. 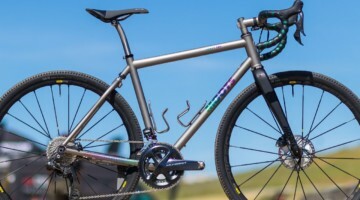 The gallery shows a bike that looks similar to a lot of modern monster cross bikes—drop bars with bar-end shifters, 700c tires and an aggressive off-road geometry. Specifications for 1990, 1992 and 1993 vintage models are available from vintage-trek.com. I have the same model pictured, same paint job, so must have just been the ’91 model and not a re-paint. I love this bike, I use it as my do-everything commuter. The thing can take a beating and is really fun to ride. Should ad that Fisher (1983-90) and Gary Fisher (1991-93) are different companies.